LBP Locksmiths is now listed as one of the Top 3 Locksmiths in Brighton by ThreeBestRated.co.uk. 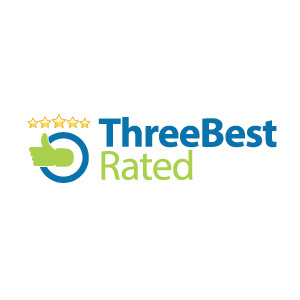 Three Best Rated® has given us their big thumbs up for providing consistent high quality services. We thank each and every one of our customers. More and more people have been contacting us to have their locks done not just because of our excellent services but also from our customers’ recommendations. We surpassed expectations with regards to satisfaction, ratings, reputation, history, complaints, nearness, trust and cost. We’re happy to continue providing affordable, decent, qualified, punctual, reliable and local services in Brighton. Our emergency rates and normal hour rates remain cheap in comparison to other locksmiths. Additionally, when you ask for a quote, it’s free and you are never pressured to accept it. Moreover, our fellow Brighton Locksmith, ASL Locksmiths & Security Solutions, were also awarded among the Top 3 Locksmiths in Brighton. A.S.L Locksmiths & Security Solutions are a small local familyrun locksmith in Sussex, we are Not a call Centre and Not a franchise, speak to us directly 24/7 for great local rates and an honest/reliable service. You can find more information about LBP Locksmiths on the Best Locksmith in Brighton. LBP Locksmith Brighton… Local Domestic & Commercial Locksmith.